Secondments often provide an opportunity of exposing Early Stage Researchers to other projects. 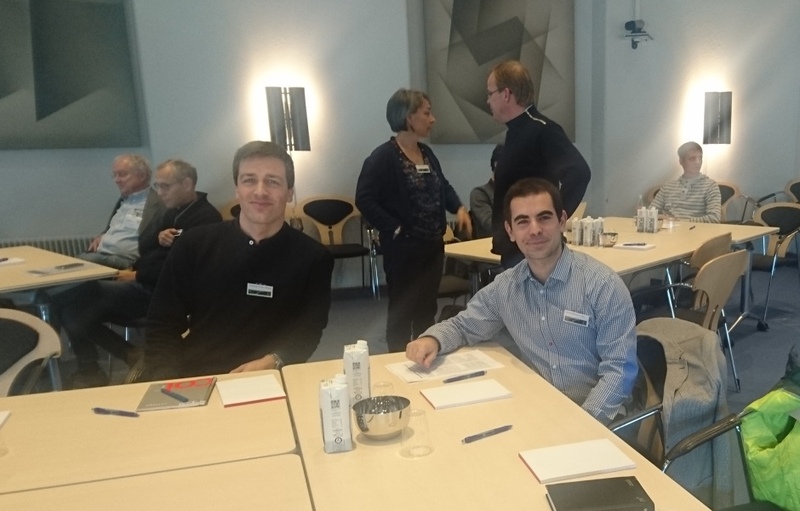 When on secondment at Greenwood Engineering in Denmark, Daniel Martinez Otero (ESR12), had the chance to attend 2016 ROSE workshop: “Green Road Infrastructure”, from 11 am to 5 pm on the 24th and from 9 am to 1 pm on the 25th November. The workshop was organized by Jeppe Dyre (Roskilde University, Denmark) and Jesper K Larsen (AfterMath, Denmark), held at Eigtveds Warehouse’s Central Administration in Copenhagen, and sponsored by the ROSE (Road Savings Energy) project, where Greenwood Engineering is also a partner. Daniel learnt about new concepts about rolling resistance for efficiency, key factors damaging pavements and gained an insight into how deterioration affects pavements. He reports that, despite not addressing the topic of his TRUSS project directly (i.e., interaction between bridges and vehicles), ROSE workshop was really interesting due to the strong linkage between vehicle’s behaviour and pavement. This is the fourth international workshop of its kind, having the first three workshops been held at the Royal Danish Academy of Sciences and Letters in 2012, 2013 and 2014 sponsored by the COOEE (CO2 emission reduction by exploitation of rolling resistance modelling of pavements) project. COOEE (2012-2014) was a joint project between Danish Road Directorate, NCC Roads, University of Roskilde and Technical University of Denmark (http://www.cooee-co2.dk/). The research project ROSE (2016-2018) is a continuation of the COOEE project. ROSE consortium is composed by Roskilde University and DTU, the Danish Road Directorate, and the private Danish firms Greenwood Engineering A/S, NCC Roads A/S and consultancy Aftermath, the German tire maker Continental AG and the French IFSTTAR. ROSE aims to lead to a new and better standard for rolling resistance on the EU level, to save fuel consumption and to reduce the emission of CO2.